It was Sunday and Chick-fil-a was closed, so I made my own…. 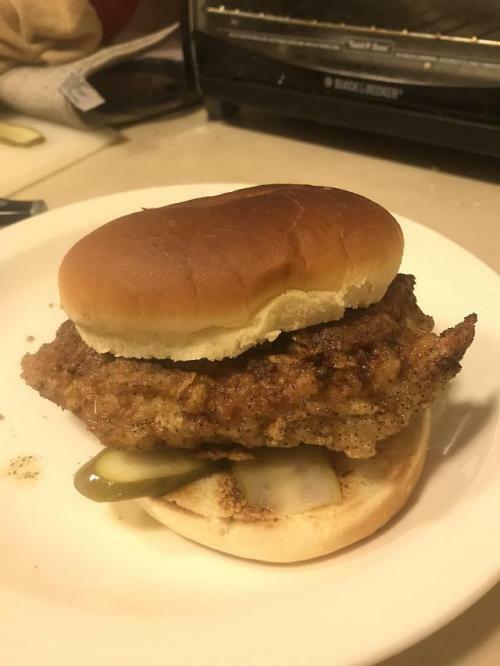 It was Sunday and Chick-fil-a was closed, so I made my own. First time frying chicken at home and it turned out amazing.